We have a full portfolio of wastewater services. Below, you’ll find some of the most common, but if you can’t see what you need, don’t worry — just talk to us. At UKDN Waterflow, we’ll have solutions to even the most challenging applications. It’s all part of the service when you work with us. When it comes to water, wastewater, drainage and infrastructure issues, innovation is our middle name. 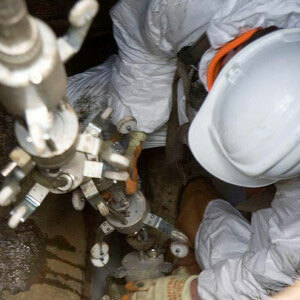 We combine CCTV inspection with best practice techniques and processes for drain and sewer jetting to remove intrusions such as roots, heavy scales, FOG, cement deposits and other obstructions that can be found in drains, sewers and pipelines. Avoid emergency drainage repair or sewerage renovation call outs with our asset management and maintenance programmes. Bespoke and expertly planned, our service will reduce the risk of asset failure and ensure on-going cost savings. Whether it’s a big or small project, we will support your civil engineering work. From minor projects such as open-cut drainage works to more extensive work including structural and architectural steelwork, embankment stabilisation, trenchless no-dig installations and complete structural renovation, we’ll get it done. We utilise the latest innovative technology to rapidly deliver detailed, error free real-time mapping of your wastewater asset to drive network rehabilitation and cleaning plans. We offer full length lining and patch repairs of drains. We also deliver trenchless no dig installations of 100 mm diameter to 4000 mm pipe. Whatever your needs, we’ll restore any damaged pipes and sewers with minimal customer disruption, all to WRc Approved standards. Working to ISO 55000 best practice standards, we provide an agile delivery of your Totex wastewater infrastructure asset management lifecycle. This includes a drainage survey, planned maintenance, and major and minor works programme. 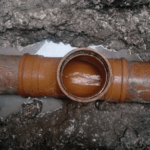 Clean water pipes can spring leaks, or water pipes can suffer catastrophic bursts which can cause serious flooding in homes and other properties. Smaller long-term leaks can result in higher water bills and can subsidence and other damage to property.